Long before the term “friend me” made any sense at all, savvy people said “Google me”; but not before they actually took the time to Google themselves. Some people view Googling themselves as an act of vanity. Those people are correct, I say. More-so, It’s an act of safety and prudence – once I unearthed a list of contact (cell phone numbers, people!) that a professor had posted to what was apparently an unsecured site. This hit came up on the first page or so of results when Googling my full name. Of course I am much more important these days (hehe) and trival lists like that fall on page 26 or so (but don’t waste time searching, for at students’ urging the phone list gold mine was removed from cyberspace shortly after being discovered). I still remember when the evening news began its torrent of local coverage with stories of little girls who were abducted from soccer games merely because their team’s schedule and uniform numbers found their way to the web. “Protect your children’s identity!”, these broadcasts warned parents. Today, parents cannot imagine what their thirteen year old is posting for the world to view, but it’s certainly more telling than their league’s Fall schedule. To be frank, the who, what, when and where are no longer mysteries. For the most part, with a clean nose, Googling people is harmless and quite fun! In fact, it makes me smile to know that there are hundreds and thousands of pages with my name encoded in them, even if much of that information is redundant and repeated as content is copied and shared from one host to the next. This weekend, realizing I had not Googled myself is quite some time, I thought it prudent to do so. 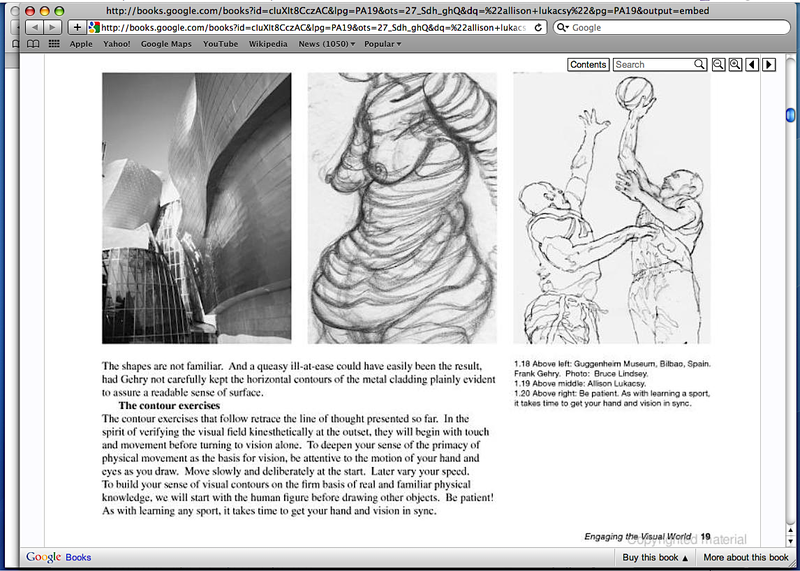 I also discovered that a how-to-draw book, The Fourth Edition of Drawing and Perceiving, by my collegiate drawing professor, Doug Cooper, was a searchable digital file. What will you discover about yourself when you Google you!? !